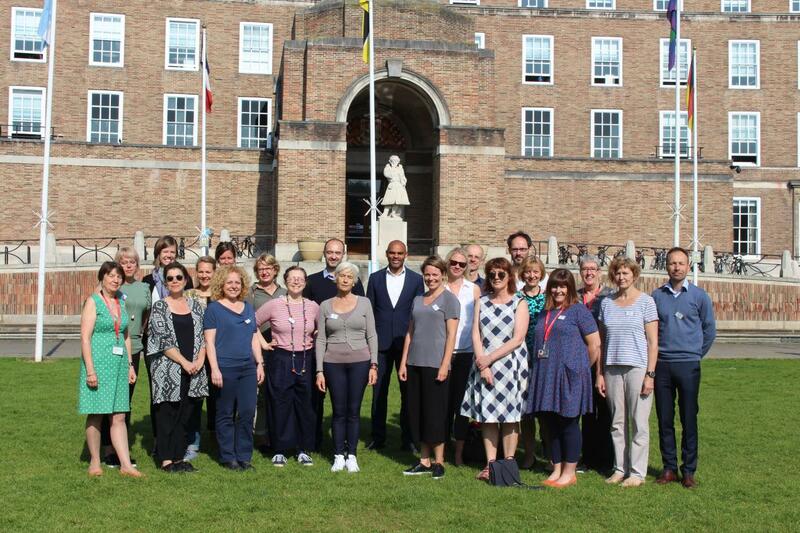 Four European cities will be visiting Bristol this week (21–23 May) to share what they’ve learnt on how to promote reading to children as part of an EU project called ‘Open the door to reading’. Funded through the Erasmus+ programme and coordinated by the city of Gothenburg, in Sweden, the project includes the cities of Turku, Milan, Brussels and Bristol. Over the space of two years, the cities will share ideas on how to promote reading through workshops, seminars and visits in all five cities. The first meeting took place in Gothenburg last year and this will be the second meeting of the cities for this project. The purpose is to increase skills, try new ways of working and develop ideas for how to better promote reading to children. Over the three days of the visit, Bristol will be showcasing the Every Child a Reader (ECaR) Project that has been running in the city for over 13 years. At the core of its strategy is the ‘Reading Recovery’ method which involves a short series of one-to-one, tailored lessons with a specially trained teacher for 30 minutes every day. Eight out of ten children who take part in Reading Recovery catch up with their classmates in six months. The three day visit begins with a welcome from the mayor at City Hall followed by a visit to Sea Mills Reading Recovering Centre where attendees will have the chance to observe a live Reading Recovery lesson. Cabot Primary School will host the second day of the visit with key speakers from the University of the West of England and Cities of Service. On the final day, attendees will review their findings from the visit and have the opportunity to suggest solutions and ways of engaging families in reading.